With an events team made of top culinary, event planning and management professionals, Michael Cordúa combined the best of his portfolio to bring our unique and contemporary brand of hospitality to your private events. Services include custom menu design, venue selection, bar and beverage services, staffing, lighting, décor, audio visual, linen, floral, wedding planning, DJs and live entertainment, cooking demos, and valet and destination management. You can let your imagination fly with our events team by your side to create your dream event and make it reality. Everyday 4 -7 pm; thursday all day at bar & patio only. Never a let down!! Good food and service!! Sitting outside is nice if the weather cooperates. 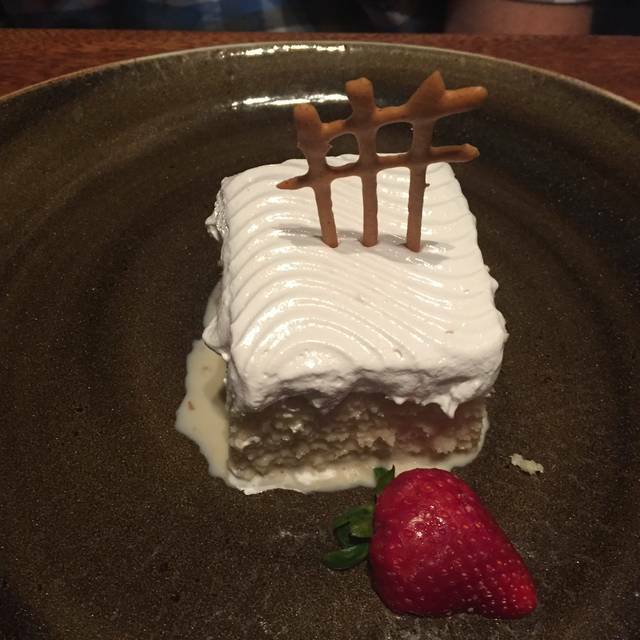 Delicious steaks and tres leche cake. Need white linen tablecloths. Noise level is extremely high. Hard to hear each other at the table. Food was awesome as usual. One of my favorite places to eat. We came in for the Brunch Buffet during the weekend and it was excellent! A few of the selections in the buffet were a miss since they were dried out, but again that was only for a few dishes. Everything else was delicious and our server was very attentive. Ordering the french toast and pancakes were our favorites! They're so fluffy and milky! Their meats were varied and quite tender. Love it! Great service, food for a business lunch. Quiet, timely, attentive! Absolutely love this restaurant. Great for big families, date night or work colleagues getting together after work. Food is on point every time. Great atmosphere - food was unique. Server was attentive. 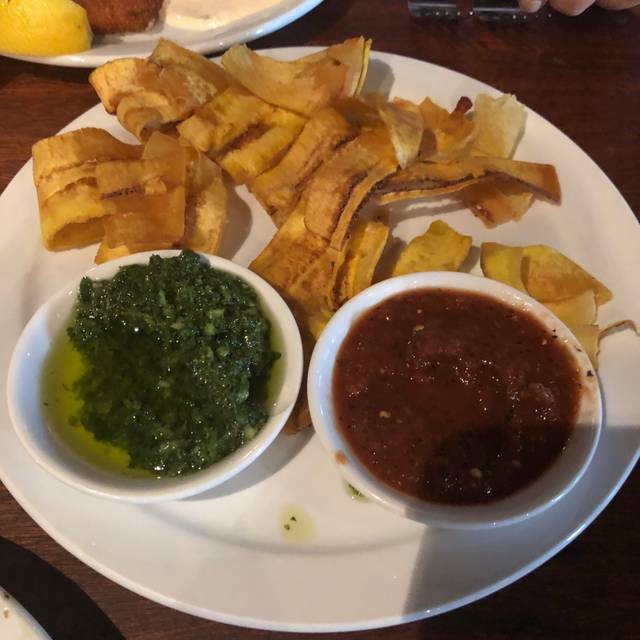 Food is really good, plantains at the beginning were awesome, facility is under remodeling in the middle of restaurant. Food was terrible, chicken over cooked. Sides not good. We were celebrating a birthday and they didn’t acknowledge. Waiter seemed put out by everything. Wonderful as always. 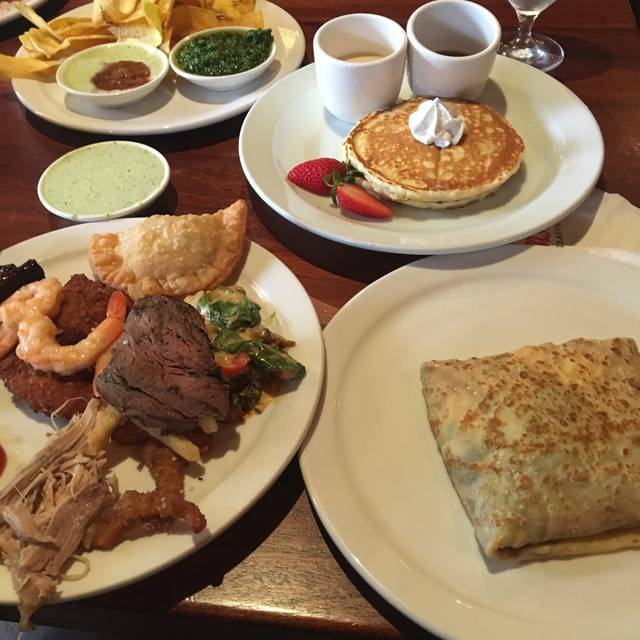 Delicious options for brunch! I would recommend this restaurant for a diamond, the brunch buffet was rather disappointing. Food was not hot. Dessert station In particular, was disappointing. 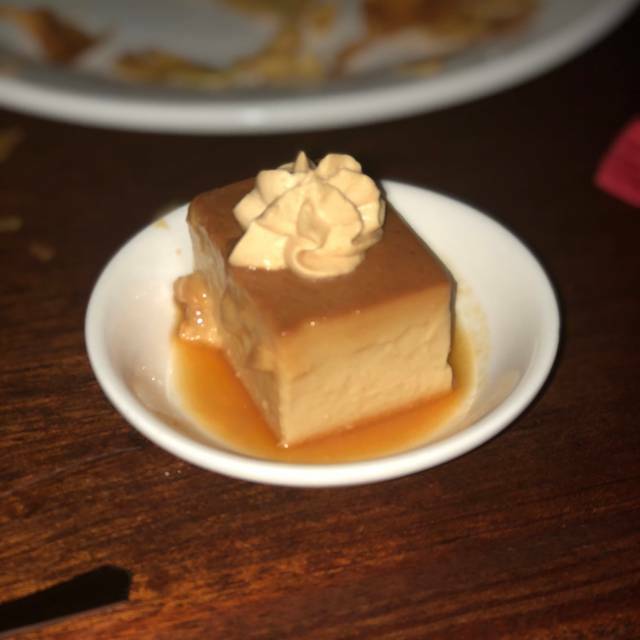 This is something at which the restaurant excels, however except for the Tres Leche cake, everything else obviously had been sitting out for a while. While we enjoy going to this restaurant, I would not do the brunch buffet again. We came for a family brunch to celebrate our 15th wedding anniversary and Vicente Gomez our server treated us so well and made it very special! The food was amazing as always! Went for an Anniversary dinner. Was such a nice night. The food was delish and the service great! Always great food and service. Smoked crab claws are Awesome!! We visited Churrasco's to celebrate our 40th Wedding Anniversary. The appetizers, the Churrascos Steak ordered by everyone, the excellent campaign when it came to the toasting, and finally the excellent Tres Leches. 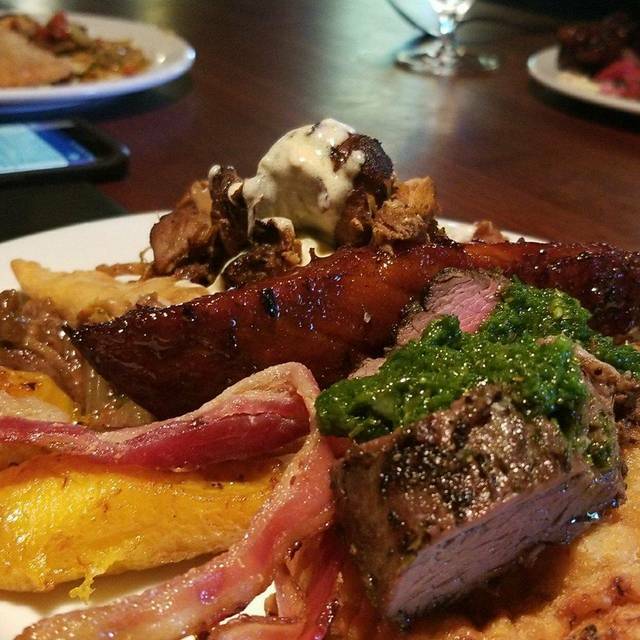 Everyone compliment how great the Churrascos Steaks were! As always, Pedro was superb on waiting on us with the occasional visit by the manager Francisco. Thanks Churrascos's for providing the excellent food and excellent service on our Special Day. Consistently excellent food and service! We celebrated the 50 Anniversary of my brother and his wife. Ronald and Juan both took good care of us. Food, service and atmosphere were all great. 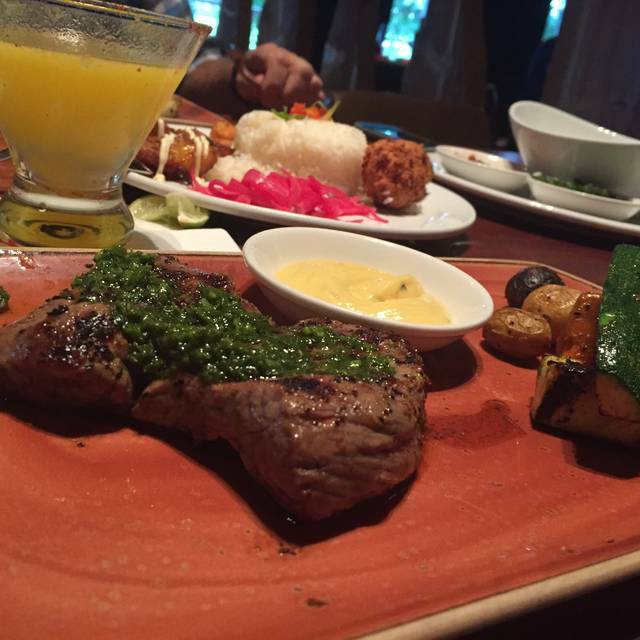 We enjoyed the Churrasco steak and would highly recommend it. Delicious as usual. Great service as usual. no issues setting a reservation. Nice facility, excellent food quality, I highly recommend the experience. Great place for brunch. Amazing number of selections on the buffet!! Great value for a brunch buffet. Great variety, cooked well and good temperatures. They ran out of “Torrejas” which u have to order which was a bummer since I was looking forward to that. The waiter offered pancakes as a substitute, nice gesture, just not the same. They forgot about us when they started breaking down the buffet so we had to wait a while for the check. P.S not the restaurants fault but what happened to dressing up a little to go eat. Crocks and shorts, really... Also, parents why do u let your kids go up to go get food? You know they don’t have the best manners and hygiene. 50th BD gathering. Private area . Great service. The outside patio overlooking the lake is very nice. 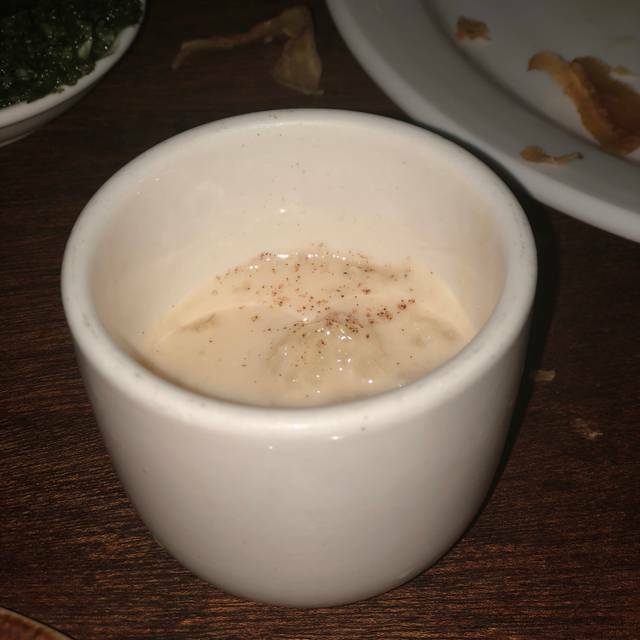 The food and service were great! 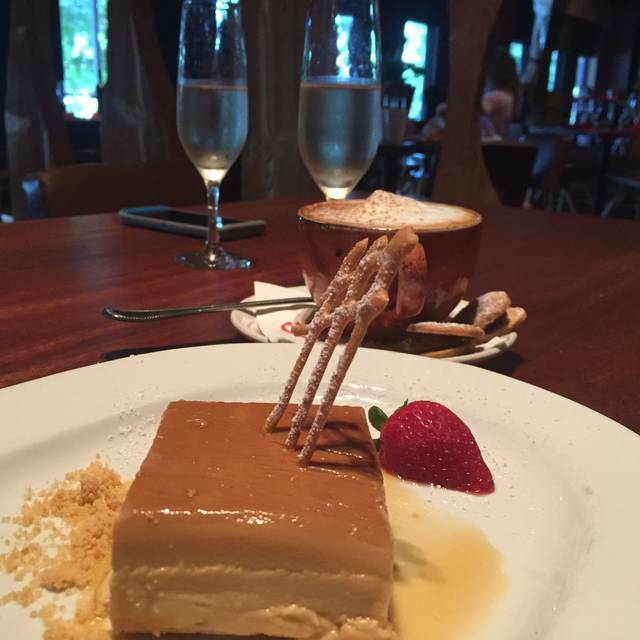 Great service, outstanding food and beautiful atmosphere! Very good value. One of the better buffets in town. Went with my daughter and we had a bad experience with the food. Under cooked, doughy French toast. We sent it back but had the same problem a second time. Good for a friends get-together. Nice food and good wine list. I've been to Churassvos many times, but this was my first time having their brunch. So much delicious food. It was nice to try everything! I wish it came with a beverage, but all in all, it was great. Greeted by Genesis, whom asked us about us, made the difference. She treated us as one of the locals even though we are not frequent customers. She offered complimentary drinks for food delay. Being Post-Valentine’s day, it was busy. Food was extraordinarily delicious. Attention to detail and mix of flavors. The restaurant was excellent. Food was delicious and the atmosphere was great. 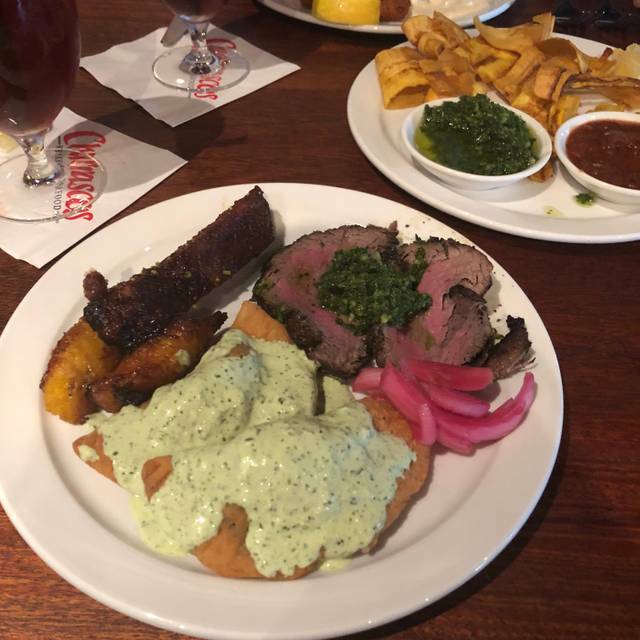 Will definitely return to Churrascos.